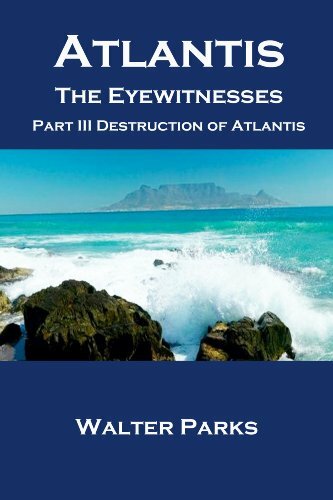 about this book: We have found a document written in 9619 BC by eyewitnesses to the destruction of Atlantis. This was about 9,250 years before Plato's writing. The writers hid in a cave as the destruction was in progress. We have also assembled enough evidence in terms of archeological finds and scientific facts to provide convincing proof that Atlantis really did exist. And we have found the underwater remains of Atlantis. Ancient literature and "mythology" is filled with stories of an early civilization that was destroyed by a great worldwide flood. Plato said it was Atlantis. Plato's story describes Atlantis and a conflict between the ancient Athenians (Greeks) and the Atlantians that occurred 9,000 years before Plato's time. The story was initially told to an ancestor of Critias by Solon who was told the story by an ancient Egyptian priest. Many have believed that Atlantis is a fiction created by Plato. Hey, after all Plato wrote about Atlantis 9,000 years after it was destroyed! We have found a very much earlier document. It was written in 9619 BC, about 9,250 years before Plato's writing.